What seems like a few years ago, 5 to be exact was when Nick and I purchased a Dyson shortly after we got married. We got tired of buying new vacuums every year or two because they would break. Although the price tag was heavy for us, it came with a 5 year warranty and I loved the aesthetics of the Dyson design. 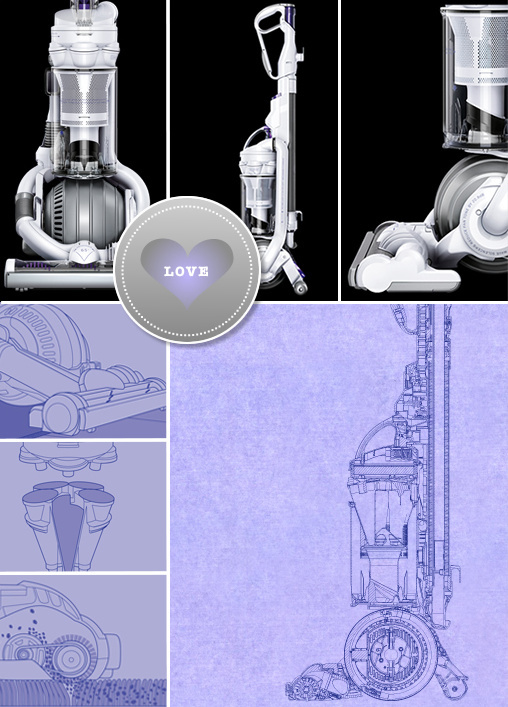 It is like the Vera Wang of vacuums. Tons of dog hair, countless amounts of cheerios and other baby food left overs, it was one of the best purchases we have made. So, when we where asked to try the new DysonDC25 and let you know about it, we jumped on the chance. It arrived and it was even prettier, sleeker than our old Dyson. It had an even greater suction and got in all the nooks and crannies that our old one could not get. The best part about it is twice as small and substantially lighter than old Dyson. Easy to carry up and down the stairs. Think R2D2 from star wars. I am going to give you a little Wedding Chick advice. I promise that you are going to get a few Target Gift cards. You are even going to get doubles from your registry, even though it is computer operated you will still get doubles. By the time you return the bedspread you thought you loved six months ago, you tally up your gift cards and return your two blenders you will have a good amount of Target Gift Cards. If I remember correctly you even get 10% all items that where not purchased on your registry. You can then take your accumulated gift cards and get something that I swear you will use and love for quite some time. In a few years when you are vacuuming up cheerios or broken chips from a party you think. I am so glad I listened to that Wedding Chick. Add it your registry here!